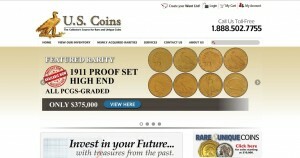 US Coins address, phone, website, and more. Founded in the 1980s, US Coins is a wholesale coin trader that serves individuals and investment firms. It is a member of the Professional Coin Grading Service, the Numismatic Guaranty Corporation of America, the Texas Coin Dealers Association and the Central States Numismatic Society. The company has a wide collection of rare coins. The collection includes Lafayette, Indian Princess, Saint-Gaudens and Liberty. Additionally, it hosts various shows featuring these rare coins. The company Web site offers a listing of policies, featured coins, and a product catalog and forms. US Coins is located in Houston. For over 30 years, we’ve been intimately involved in the numismatics industry. As a leader in the wholesale market, we have built a network of collectors and dealers alike – and it is those relationships which give us our unique access to the great buyers… and sellers! As one of the world’s more prominent wholesalers to the world’s more pominent dealers, we have worked diligently to build a reputation of quality and honesty. We carry that reputation into every transaction made. Because we have direct access to those selling their coins, there is no “middle man” when you buy from us… and that means savings to you! Many of our customers find that even with our modest profit margin applied, our coins sell for much less than other dealers.